The passage of Dodd-Frank in 2010 required standardized derivatives to trade on open platforms and be submitted for clearing to central counterparties. As a result, many trades previously conducted over the counter moved onto exchanges backed by central counterparty clearing. 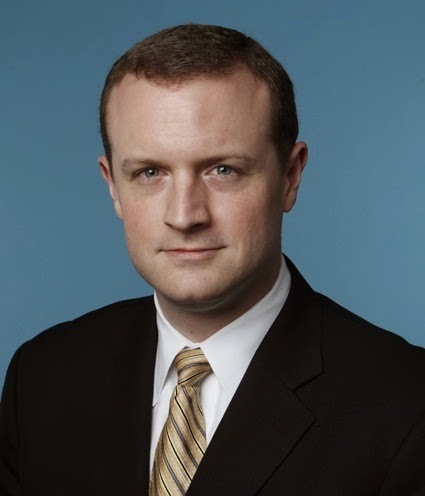 Drew Shields, our head of product management, sat down with Mike Riddle, the COO of Eris Exchange, a futures exchange that lists cash-settled interest rate swap futures, and Bill Campbell, TT’s director of fixed income products, to discuss the growth of swap futures and associated trading opportunities, specifically box trades. Drew: Let’s take this from the top. Mike, can you talk to our readers about Eris Exchange? Mike: Happy to. Eris Exchange is a futures exchange—a designated contract market regulated by the CFTC—that has been steadily growing since inception in 2011. We provide banks, commercials and prop traders a capital-efficient way to access interest rate swap futures. Increasingly, we are seeing prop trading groups access our market for unique trading opportunities. Drew: Bill, as an expert in fixed income trading, can you tell our readers how they can leverage our connection to Eris using X_TRADER® and eventually our new TT platform? Bill: X_TRADER already provides access to CBOT Treasury futures, cash markets at eSpeed and BrokerTec, along with Eris. A complete list of supported markets is on our website. Within this mix of liquidity pools, there are hundreds of ways to spread and trade fixed income contracts. Since Eris is the leading swap futures exchange, we’re planning to make that connection available very soon through our new TT platform. With our suite of automated trading tools including Autospreader®, Autotrader™ and the ADL® visual programming platform, our high-performance connections to the primary fixed income markets and our FIX and proprietary API solutions, it’s a great time to be trading fixed income products with X_TRADER and soon with the new TT. Trade the box trade with Autospreader®. Drew: Mike, let’s build on Bill’s point. What are some of the interesting ways our customers can use your exchange’s products with fixed income products that trade on other exchanges? Mike: One of the reasons we love having Trading Technologies as a technology partner is that your spreading tools are outstanding. The box trade in particular presents intriguing possibilities because it provides a margin-efficient way to express an opinion as to whether the relationship between certain swap spreads themselves will widen or tighten. Bill: In case we have some newer traders reading, a box trade is a spread between two spreads. Depending on the types of spreads involved, the box trade can often involve four or more legs. For example, a box trade could be trading a five-year spread against a seven-year spread. Drew: Before the Trading Technologies/Eris connection, how were box trades executed? Mike: You could generally only execute over the phone by calling a dealer bank, because of the swap component. Now, Eris is the electronic trading forum, and lays the groundwork for all four legs to be executed electronically. 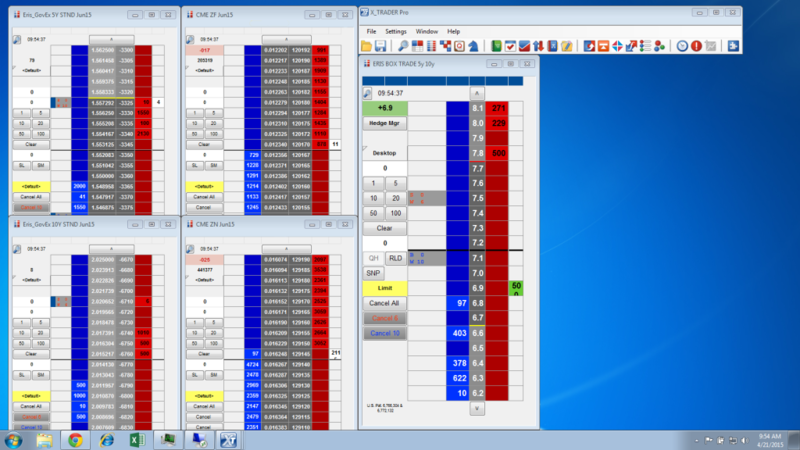 With the Autospreader® tool that’s in both X_TRADER and TT, you can seamlessly combine all legs into order books across multiple venues. In this way, when you take multiple swap spreads and trade them against each other, it isolates a spread, which can behave meaningfully and be charted like any other interest rate derivative. For more information, people can consult our PDF that articulates how to structure a box trade using Eris swap futures and X_TRADER. Bill: Box trades tend to be a margin-efficient way to get interesting exposure. This is a trade for the 21st-century basis trader—the modern futures relative value trader. It also works for hedge funds, insurance companies and mortgage lenders who have traded swaps over the phone and are looking for more efficient execution, less slippage and anonymity. Because of our connections to the major fixed income venues and our yield-based spreading technology, Trading Technologies’ customers are in a unique position to take advantage of electronic box trades. Drew: Mike, volume has continued to rise since the trading mandate in 2014. In closing, will you give our readers a quick update on the headlines at Eris? Mike: Probably the latest big win is that our open interest is over 172,000 contracts ($17.2 bn notional), with average daily volume (ADV) growing along with it, including ADV of more than 5,000 in March. It’s a pretty good indicator that the further we go with swap regulation, the more costly and cumbersome it is to trade cleared swaps, so traders are leveraging swap futures. Greenwich Associates recently issued a report that furthers this notion that regulatory impact, including a higher margin requirement for swaps, will impact the total cost of trading swaps, making swap futures even more attractive. With that, Societe Generale Prime Services (formerly Newedge) has recently completed an equity investment in Eris. Having one of the largest FCMs in the world endorse our growth and prospects is yet another positive indicator, and we’re particularly excited that SocGen’s swap desk has commenced making markets on Eris Exchange. Drew: Gents, thanks for the time. Traders, for questions on the box trade, Eris, swap futures or TT, please you can contact Eris Exchange at (888) 587-2699, option 2 or contact your local Trading Technologies representative.